There are times when you want to give your client a choice on a service in your proposal. 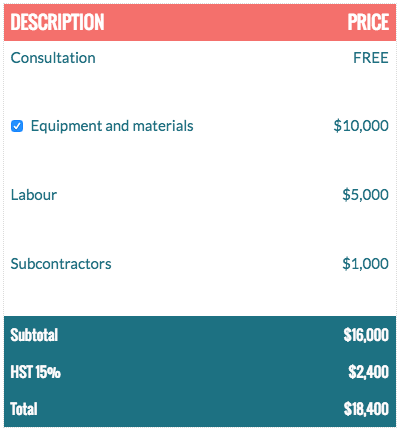 We make it easy for you to set any fee as optional, allowing your client to pick and choose which services they would like to sign up for. To set a fee as optional, you can click in a row in your fee table. From there, you'll see the Row Options field populate in the right-hand menu. This will add a check box to that row. 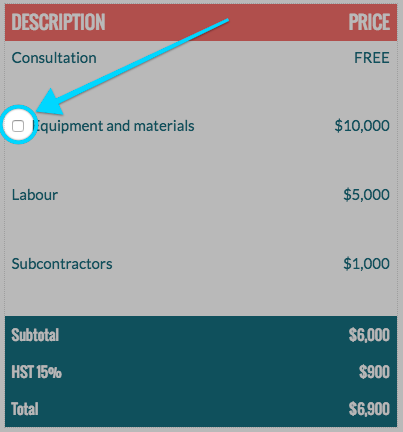 As soon as the your client clicks the check box, it will be included in the total.